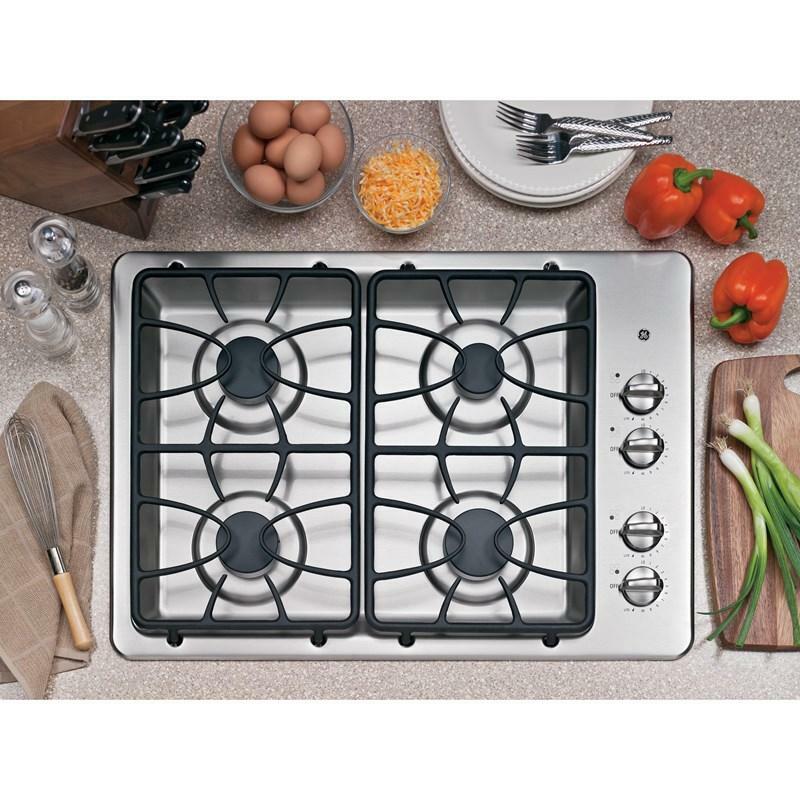 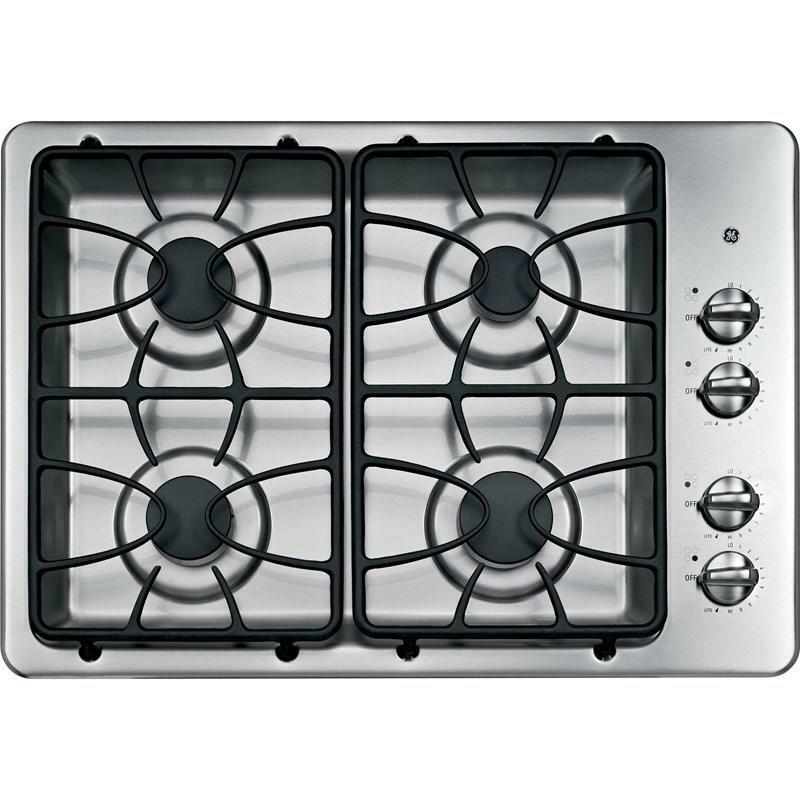 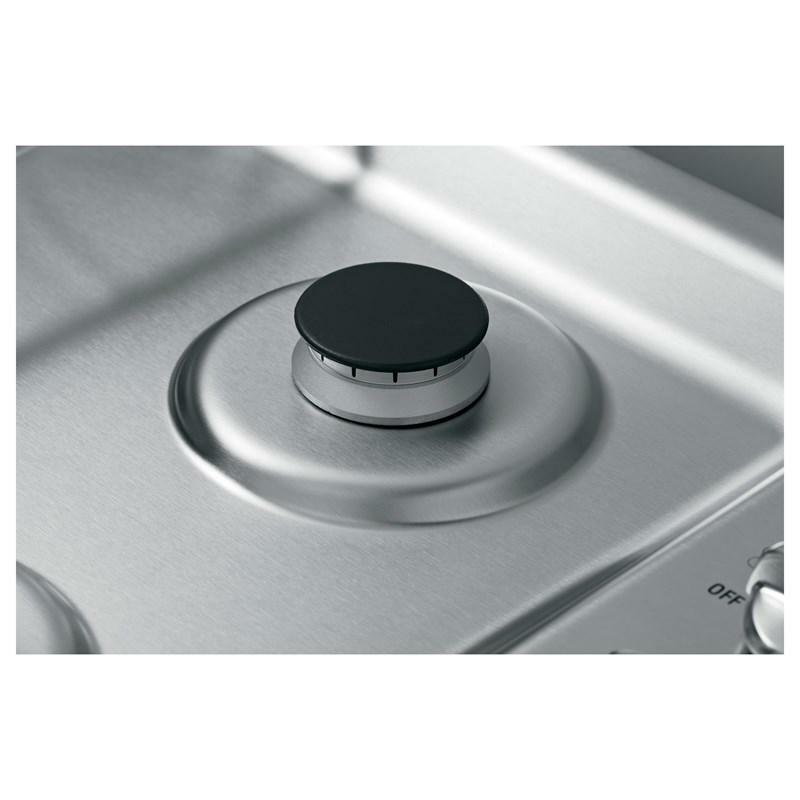 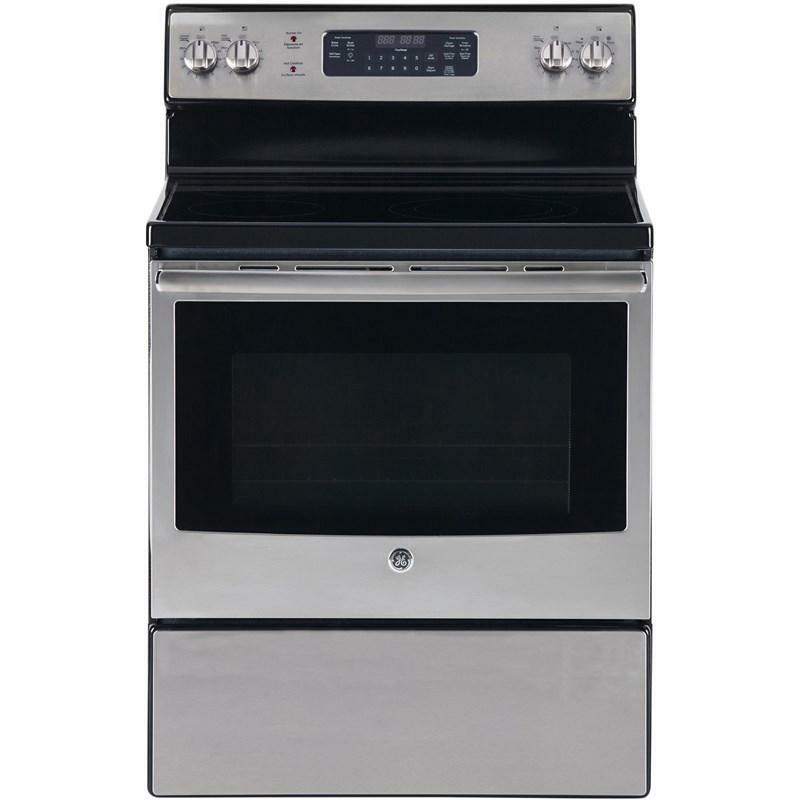 This GE® 30" built-in gas cooktop features a deep-recessed cooktop and sealed cooktop burners that keep spillovers contained on cooktop, making cleaning quick and easy. 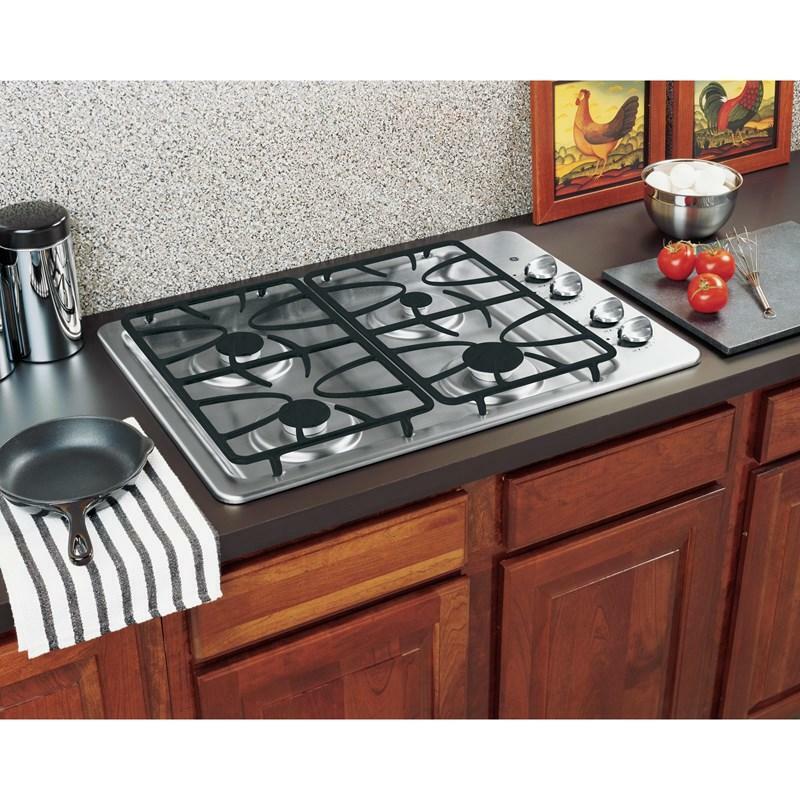 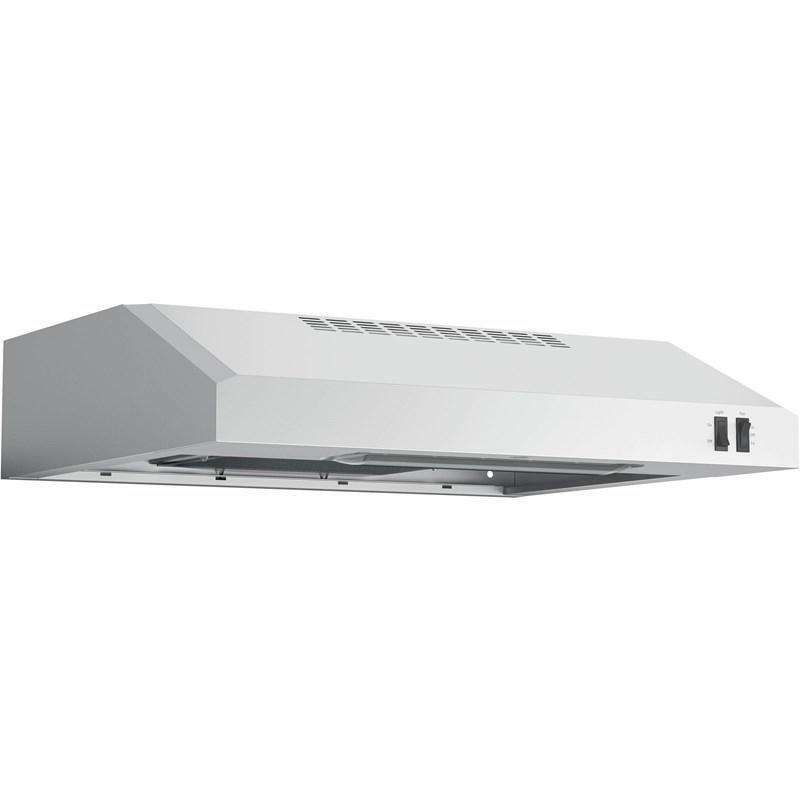 It also offers a precise simmer burner which delivers a low setting of 140 degrees and matte black medium-cast grates that hold cookware securely over burners. 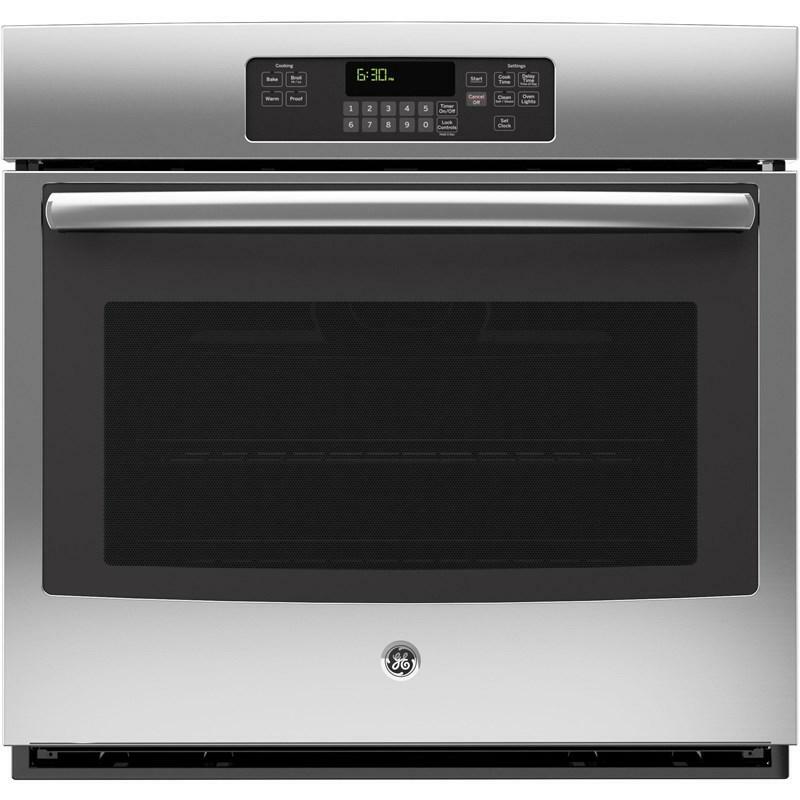 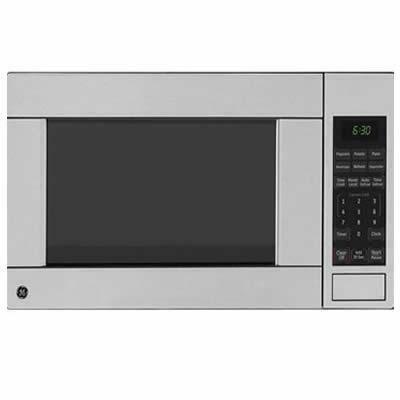 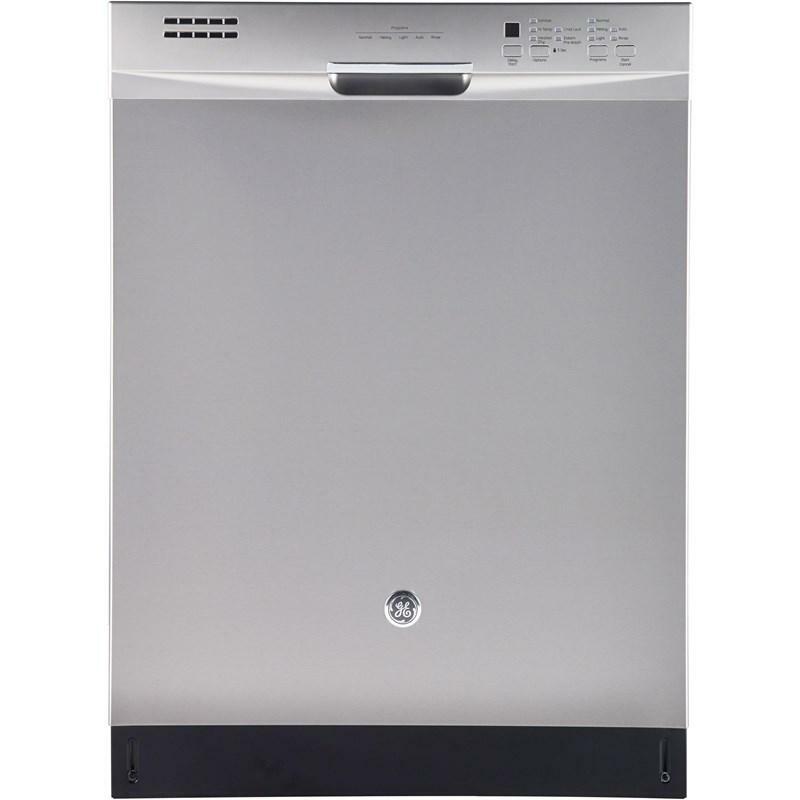 This GE 15.5 cu.ft. 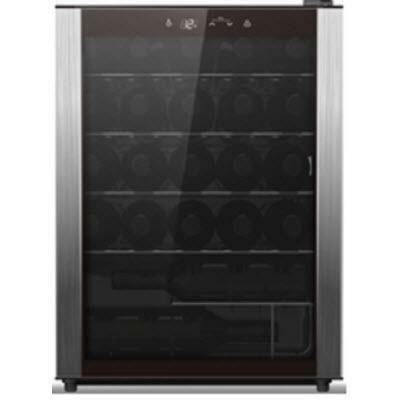 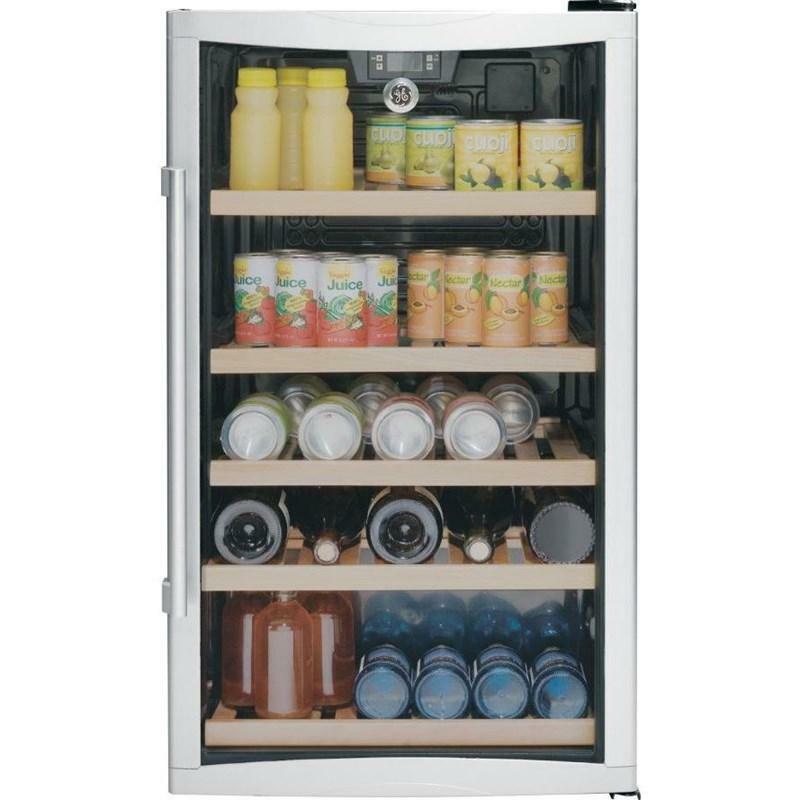 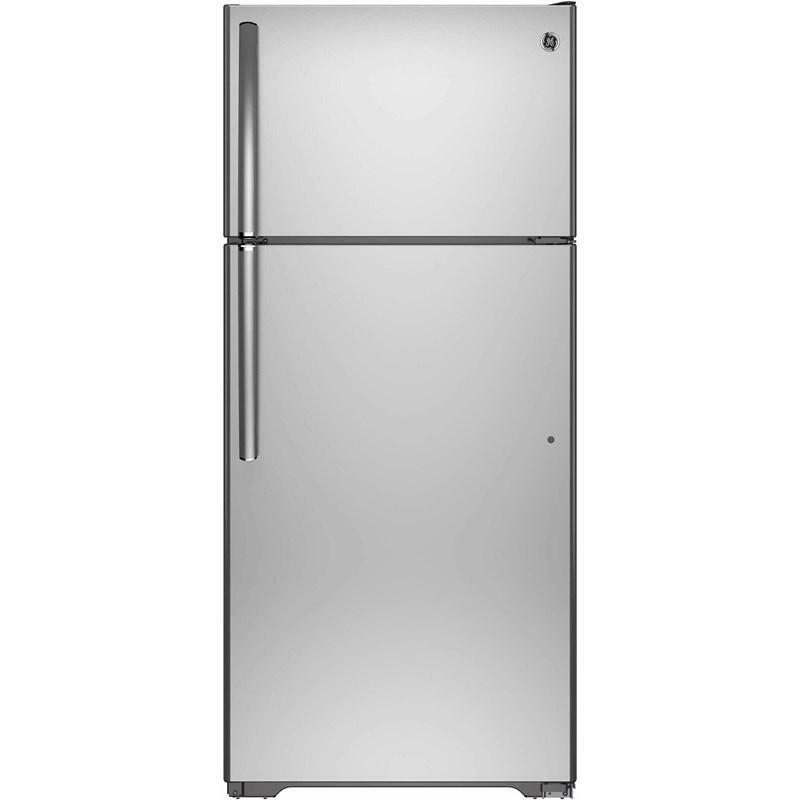 top freezer refrigerator features upfront temperature control, 2 clear vegetable crispers, 2 full-width glass shelves and reversible doors. 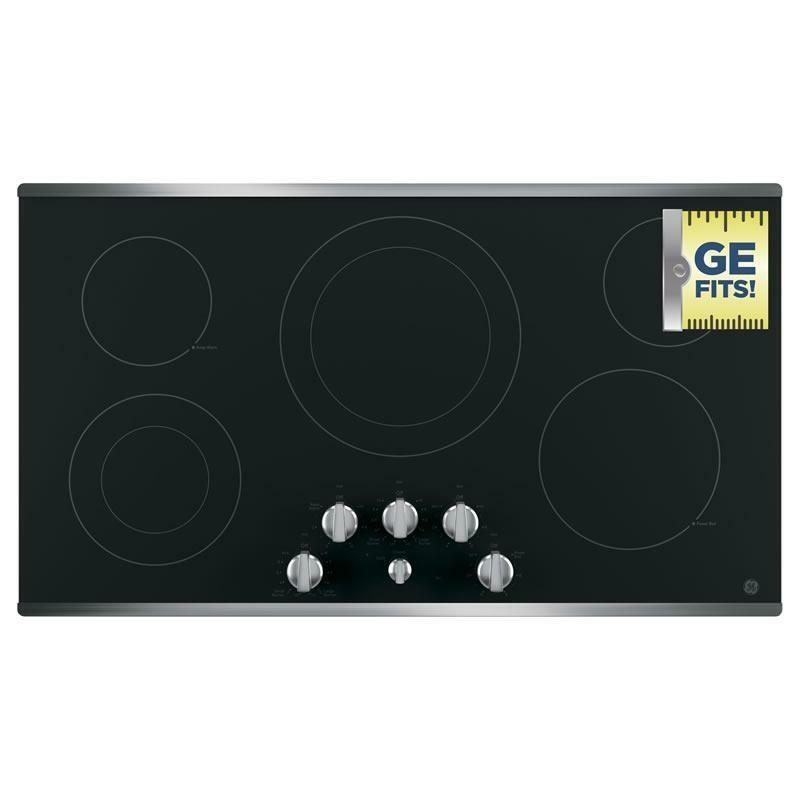 This GE 36" built-in electric cooktop features five radiant elements, a keep warm setting, a control lock capability and hot surface indicator lights.